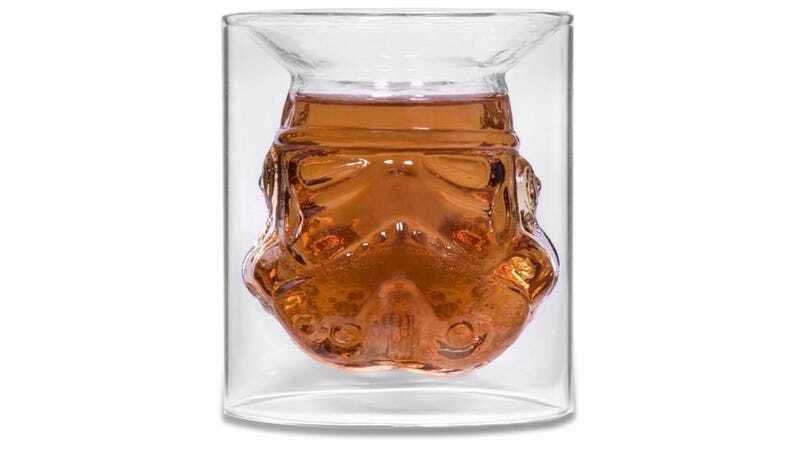 You know you’re a dedicated Star Wars collector when you demand extreme accuracy even when it comes to a novelty shot glass. These inside-out Stormtrooper glasses from The Fowndry were created using Andrew Ainsworth’s original 1976 helmet molds, which means you really won’t find anything more accurate. Each glass holds 150-millileters of your favorite beverage, be it blue milk or something with a little more bite from a cantina. They do look a little tricky to clean, particularly for a dishwasher to get into all of the subtle detailing, so you might be better off hand washing each one. They’ll set you back about $15 for each glass, but you can save a few bucks if you buy a pair of $22, which also helps ensure you’re never drinking alone.